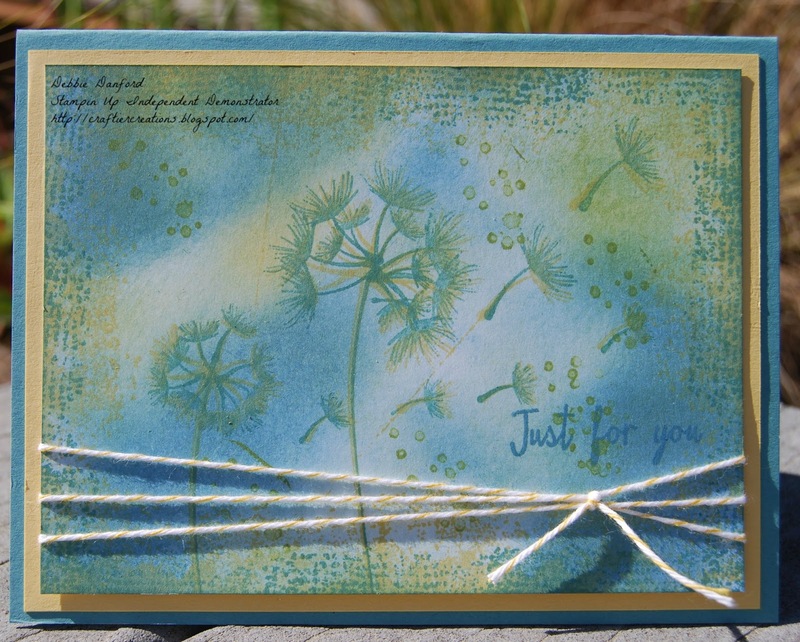 Today's post I wanted to share a card I made using the Dandelion Fluff from the Balloon Celebration set & the ever so popular Timeless Texture set both in the 2016 Celebration Catalog. On whisper white sponge marina mist, lost lagoon, pear pizzazz & so saffron. With one of the background stamps (hard to explain which one) stamp around the edges with pear pizzazz. Stamp single stem twice with lost lagoon, then stamp the larger dandelion fluff on one stem & the smaller fluff on the other. You can also stamp some of the fluffs as if they are flying away. I then went back over all of them with so saffron for a little bit of a layered look. Randomly stamp with the splatter stamp in lost lagoon & so saffron. 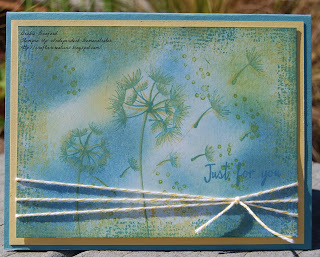 Stamp sentiment in marina mist. Attach bakers twine & assemble. I then added clear Wink of Stella onto the dandelion fluffs but in the pictures it is really hard to see it.